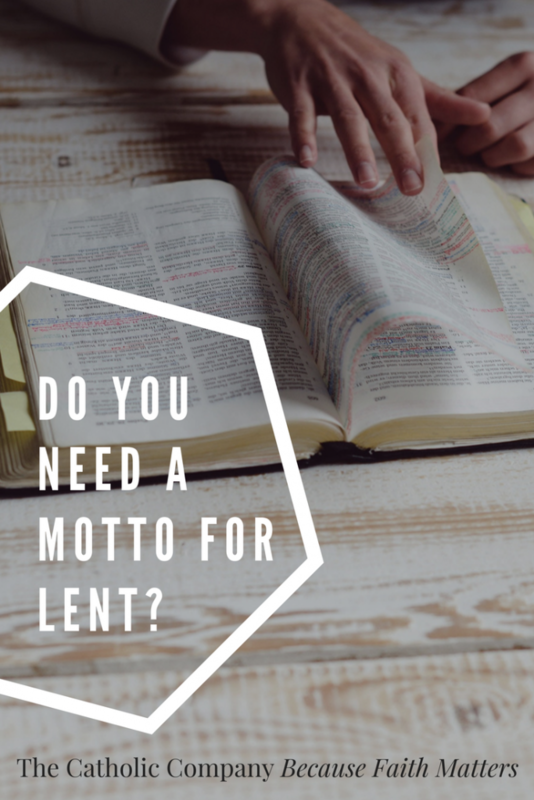 Do You Need A Motto For Lent? St. Josemaría Escrivá is best known for reminding ordinary Christians to find sanctity in daily life and work. He once wrote, "Either we learn to find our Lord in ordinary, everyday life, or else we shall never find Him." The quotes below are excerpted from his book The Way. Throughout this mini-manual, St. Josemaría plays the role of spiritual director and addresses us, his readers, with single-minded determination, intending to help improve our characters—because he loves us very much. "The things of this earth are continually passing away; hardly has pleasure begun when it has already ended." Speaking about a daily examination of conscience: "Ask for light. Insist on it until the root is laid bare and you can get at it with your battle ax." "You’ve been told to do something that seems difficult and useless. Do it. And you’ll see that it’s easy and fruitful." "A task which presents no difficulties lacks human appeal—and supernatural appeal, too. If you find no resistance when hammering a nail into a wall, what can you expect to hang it on?" "If you do not fight against being frivolous, your head will be like a hunk shop: you will only be storing up impossible ideals, false hopes, and...old rubbish." "The Lord always blesses with the cross." "Where there is no mortification there is no virtue." "You are suffering? That’s for the best." Mottoes can help by reminding us what's behind our Lenten sacrifice. Use one of the shorter phrases above, or find a motto from a Catholic saint that suits your purpose. Repeat it as little or as much as you need to connect your action with your goal of growing nearer to Christ through some small suffering. You can do it! If you want to benefit from the full effect of Saint Escriva's spiritual advice, you can purchase The Way on our website! Click here. Mary Kate comes from a large Catholic family. A Charlotte, NC native and an Auburn graduate, she writes blog articles and works in product development for The Catholic Company.